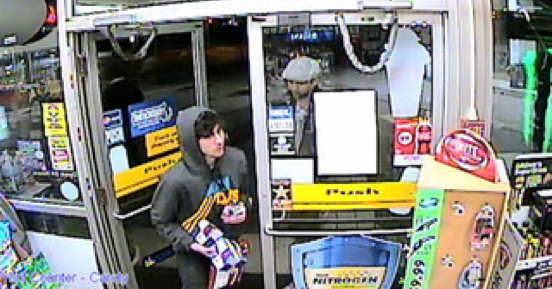 The Boston Bombing Day 4: Have You Seen These Men? The day started out with US Homeland Security Secretary Janet Napolitano announcing that the FBI had interest in two men seen on surveillance tapes. She didn’t say they were suspects exactly…so…what? They wanted to have a little chit chat with these guys? And Obama spent the day giving speeches in Colorado, “Your resolve is the greatest rebuke to those who committed this heinous act…,” yadda, yadda, yadda. The Forum Restaurant is located at 755 Boylston Street. If you look at the Google map below you’ll see a business to the left of Starbucks named Vox. Vox is no longer there and Forum Restaurant is now currently in that location. 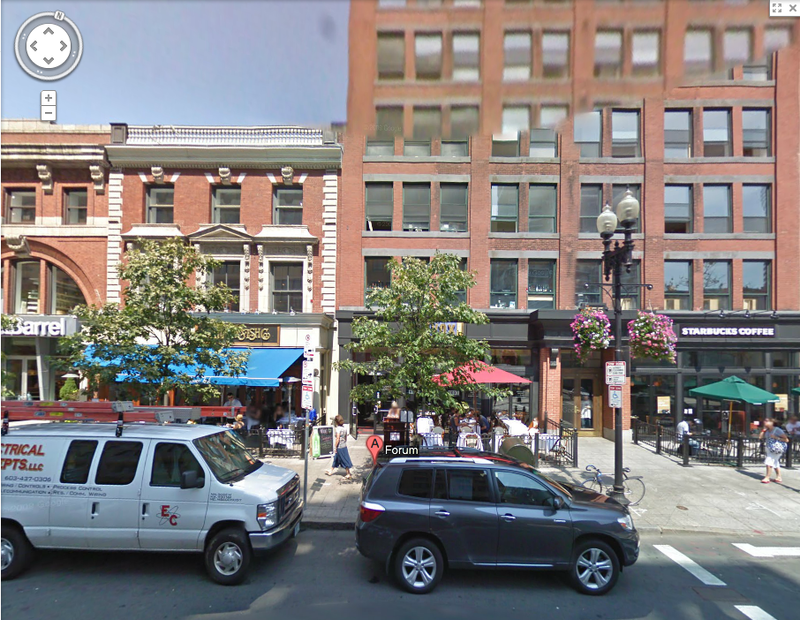 This is where the FBI is saying “suspect 2,” which will later turn out to be Dzhokhar Tsamaev, set down his bag. And yes, that is the building on which the man was seen and photographed on the roof. And no, the FBI did not say suspect #2 put the backpack/bomb in a trash can. Rather, he just “set it down.” Which makes you wonder about the runner I previously posted about who swore he saw the second bomb explode – it had been placed in a trash can. 7-Eleven. MIT. Officer down. Carjackings. Kidnappings. ATM machines. The initial story we all heard about Thursday night after we woke up on Friday was that the bombing suspects had robbed a 7-Eleven store located at 750 Massachusetts, Cambridge. 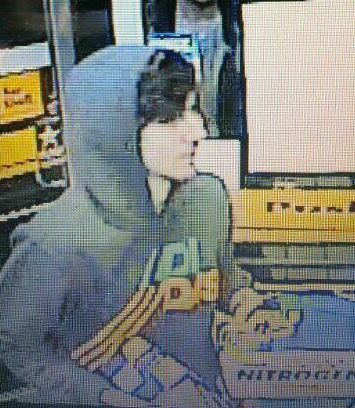 Boston Police released a photo of suspect #2 caught on the 7-Eleven surveillance tape (seen to the left). Margaret has also been quoted as saying that the surveillance video of the crime was not taken at a 7-Eleven. What does that mean? And why did the media put it out there that these suspects had robbed a 7-Eleven? Two words. Timothy Alben. It seems that State Police Superintendent Timothy Alben stated at a press conference that the suspect (or suspects, which we find out later are two brothers) did rob the store. But 7-Eleven maintained they didn’t rob the store. 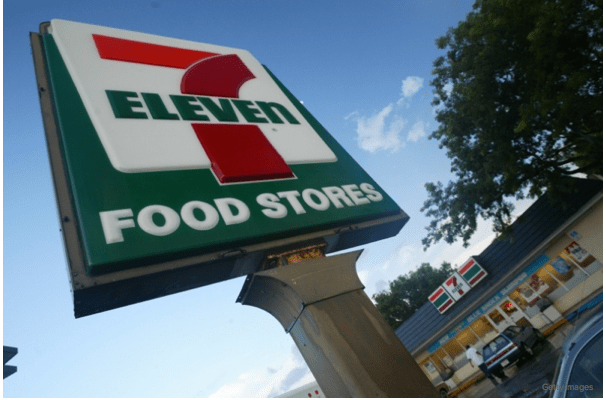 At an evening press conference on Friday, Alben retracted his original report and said that the suspects were at the 7-Eleven around the same time it was robbed. So the suspects just happened to be there around the same time as a robbery? Hence the reason authorites just “happened” to get this suspect on surveillance tape? I mean, can you figure out the odds of this happening? Or is it that someone called in a tip that the suspect was at the store and we haven’t heard a peep about it? If no one called it in then this is one of the most extraordinary coincidences I’ve ever seen. It appears his brother is behind him. After the suspects didn’t rob a 7-Eleven store, oh wait, before they didn’t rob a 7-Eleven store, according to USNews.com on April 19, they shot a MIT officer and stole his cruiser. “….when the suspects approached a police officer from Massachusetts Institute of Technology and shot him in the head. “At 10:20pm on Thursday, the active manhunt started: Police received reports of gunshots in the vicinity of Vassar Street and Main Street on the MIT campus, and ten minutes later found officer Sean Collier dead of multiple gunshot wounds in his patrol car. Secondly, let’s go to the Boston Police radio tapes. Well, my recording of the police radio. And folks, I’m not going to lie – I don’t have any real times on this recording. *Sigh* I know, I know. But I’ll list the mark times as they occur in my recording. I have taken out a lot of the dead air, etc. off the recording. The recording is 4 minutes, 17 seconds long but realize these conversations took place over approximately a 20 minute period. I believe this stuff pertains to the shooting and the 7-Eleven robbery – but be aware, some of it may not. 0:01: At the start of the recording, an officer talks about how someone must have called in and said that they saw an officer just sitting there and were wondering what the “noise” was. 0:40: Officer and dispatch mention streets Magnolia and Dudley. 1:44: “Black male, about 120, wearing black clothing, that’s all we have right now. 2:35: “Officer shot…suspect still at large with his weapon…I believe it to be the area of … memorial. The actual incident was on Vassar Street. 2:54: “Black male, 120 pounds, 5’5, wearing dark clothing and it should be a black Northface jacket. 3:08: Officer states that MIT police are going back to look at two surveillance cameras that were right there at the incident in order to get a better description. 3:22: Officer describes suspect as Hispanic male wearing a cowboy hat and last seen on Vassar. According to the police tapes 1. It sure sounds like the 7-Eleven robbery occurred before the MIT shooting. What time was DzT seen on tape? 2. It sounds like they’re saying that the guy who robbed the 7-Eleven had a cowboy hat on. And he’s white…and 200 pounds. So why does another officer say the suspect was Hispanic, last seen wearing a cowboy hat and last seen on Vassar approx. 10 minutes after the shooting? And 3. Black male? About 120 lbs? Northface jacket? Is this suspect from the MIT shooting? Was there a Hispanic male and a white male that were both wearing cowboy hats, both seen on Vassar after the shooting and both may or may not have robbed a 7-Eleven? 4. Were both brothers at the 7-Eleven and involved with the shooting at MIT? And finally 5. How did State Police Superintendent Timothy Alben get it wrong in a press conference (hours later) that the suspects had robbed the 7-Eleven? The descriptions don’t even match the suspects they were looking for that night. This picture to the right seems to show DzT’s brother walking in behind him. See the hat he’s wearing? Is that considered a cowboy hat to witnesses? 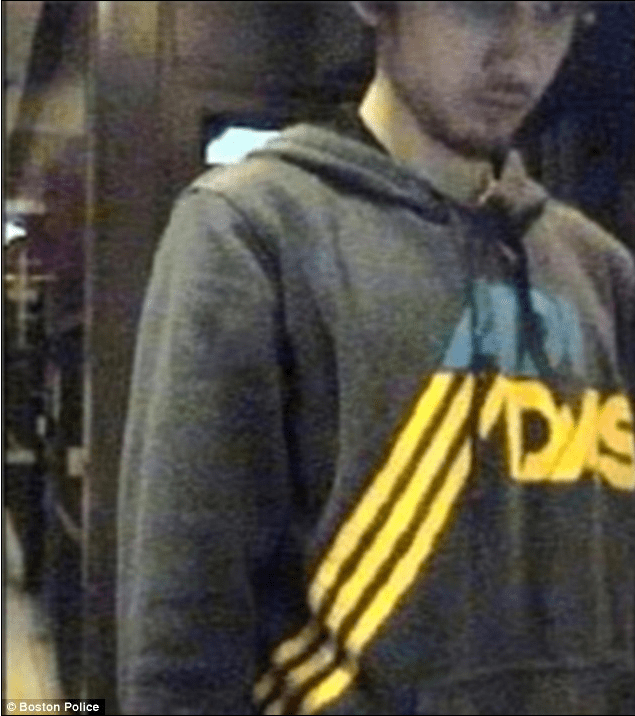 A later picture taken at an ATM machine shows DzT wearing his brother’s hat. So it appears they were both at the 7-Eleven. Why did they head down to MIT? Why kill a cop just sitting in his car? Where they both there when the officer was shot? What? You thought I was going to clear all of this up for you, didn’t you? Okay, moving on with the MIT shooting. Originally, some news reports stated that the officer was ambushed in his car and that the car was stolen. But Nymag.com reported that the officer was found in his car. I have to go with the suspects did not steal this guy’s cruiser. If the officer had been shot and his cruiser stolen, why would someone make a call to the police wondering what all the noise was and why an officer was just “sitting there.” Reports said the officer, I believe, was shot numerous times including in the head so wouldn’t the officer be “laying there” with no car in sight? Wouldn’t the caller have said that an officer was laying in the middle of the courtyard in what looked to be a pool of blood? Seriously. No one stole the car. Second of all, there’s no mention of a stolen police car on the radio. Two weeks later, the media is now reporting that the suspect(s) may have killed the officer in order to get his gun. But they didn’t take it. It was still on the officer at the scene – or was it? Recent articles suggest that the gun was still on the officer and the theory is that the suspect(s) couldn’t get the gun out of the holster. But go back and listen to the police tape at mark 2:35. Are they saying the suspect is at large with his own weapon or with the officer’s weapon. No idea. 1. DzT was at the 7-Eleven based solely on one surveillance tape photo that was released by the police. He apparently was there around the time a robbery took place. “Is there more? Is there more?” you ask? Oh yeah. There’s more. Approximately 15-30 minutes after a MIT officer was shot, Danny received a text message. He pulled his Mercedes SUV to the side of Brighton Avenue to return the text. While pulled over, an old sedan pulled up behind him, slamming on the brakes. A man in dark clothes got out, approached Danny, began speaking and knocked on his window. When Danny lowered his window to hear the man, the man reached in, unlocked the doors and hopped in. The man had a gun. The guy asked Danny if he was familiar with the bombings that had taken place and then admitted he was behind them. He also admitted he killed a police officer in Cambridge earlier. Danny was ordered to drive and the old sedan followed behind them. They eventually went to a neighborhood in East Watertown where Danny got into the passenger seat. Before leaving, DzT, who had been driving the old sedan, and his older brother (suspect 2), loaded things from the sedan into Danny’s Mercedes. Both brothers then got into the Mercedes SUV and at some point discussed going to New York. For two brothers that had lived in the States for years, amazingly the older brother asked if Danny’s car could be driven into another state such as New York. What? 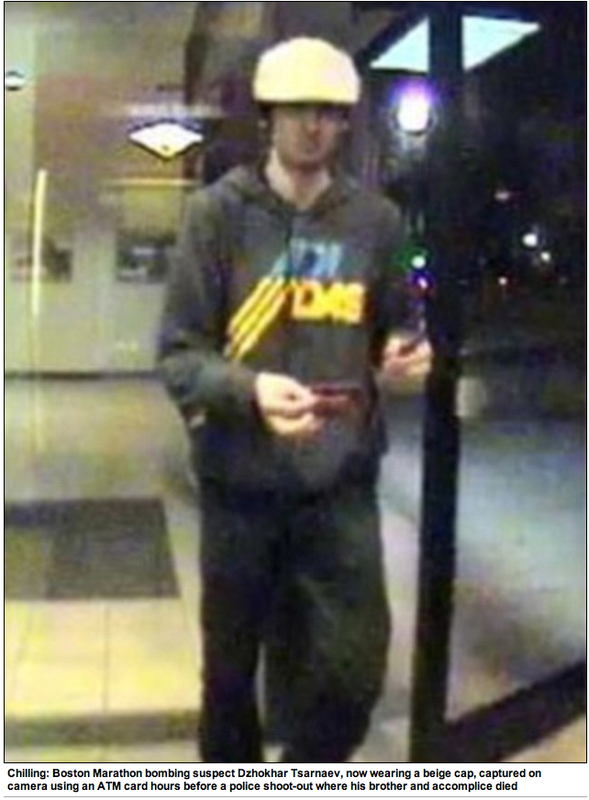 At one point they stopped at Watertown Center so DzT could use an ATM machine using Danny’s card. DzT’s brother told Danny that both of them (the brothers) had guns but Danny had only seen one. Danny said that at one point they were heading west on Route 20 when it was noticed that the gas was nearly on empty. They stopped at one station but it was closed. They turned around and headed back to the Watertown neighborhood where the old sedan was parked. The suspects grabbed a few more things from the car. Then they headed to get more gas. They arrived at the Shell Food Mart on Memorial Drive. As DzT went inside to pay for the gas, Danny made his move and escaped to a Mobil gas station across the street. The Boston Globe’s article states that Danny’s ordeal lasted 90 minutes. One discrepancy I have found is from the dailymail.co.uk (not sure how accurate they are on all of this). Dailymail interviewed the guy who was allegedly working at the Shell station. His name is Mohammed Malah, 46. Mohammed claims that he didn’t pay attention to DzT when he came into the station and that he only realized later after FBI swarmed the place. The article goes on to say, “They [FBI] had been alerted to the garage stop by the carjacking victim who had managed to escape and run across the road to a neighboring Mobil garage.” Okay, so that makes you think that Mohammed definitely worked at the Shell, right? Am I missing something here? Am I missing this released photo from the Shell station? I not sure why my map looks differently than a lot of the maps created by media sources out there. 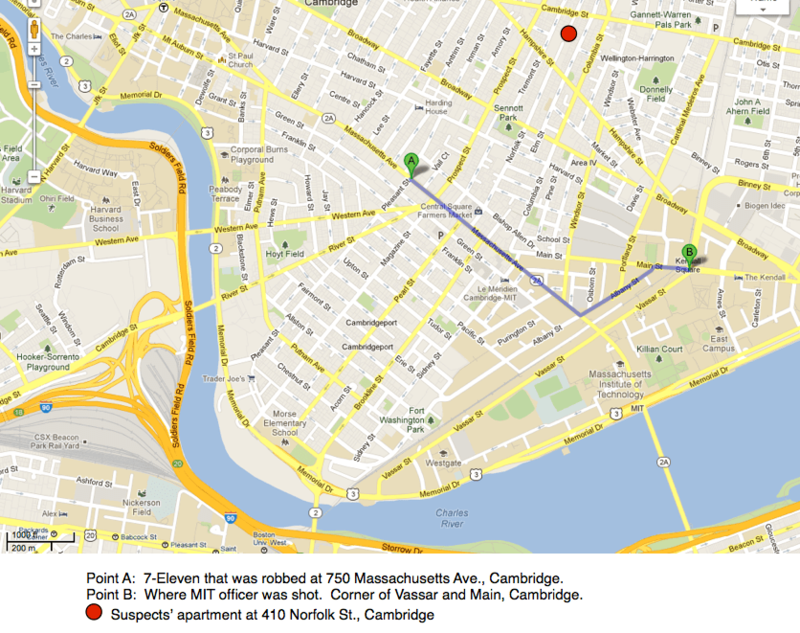 Most news sources have Danny being carjacked where the MIT officer was shot. 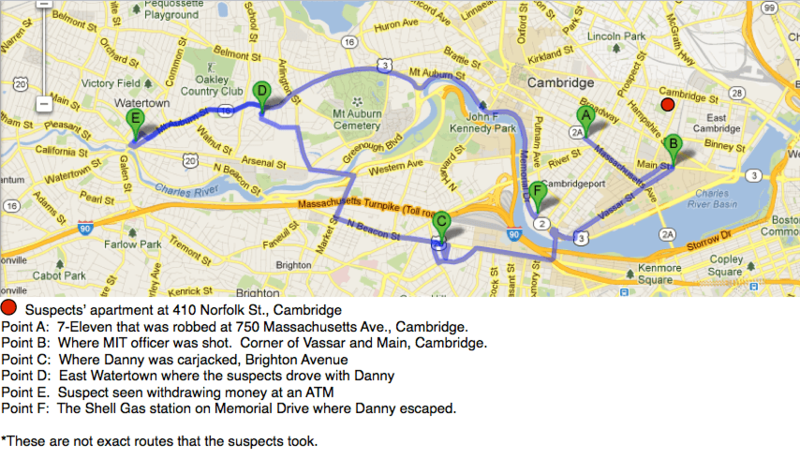 I have it mapped out according the where Danny said he was carjacked. Point D. is a general mark in East Watertown. I have no idea if they were in that exact spot.